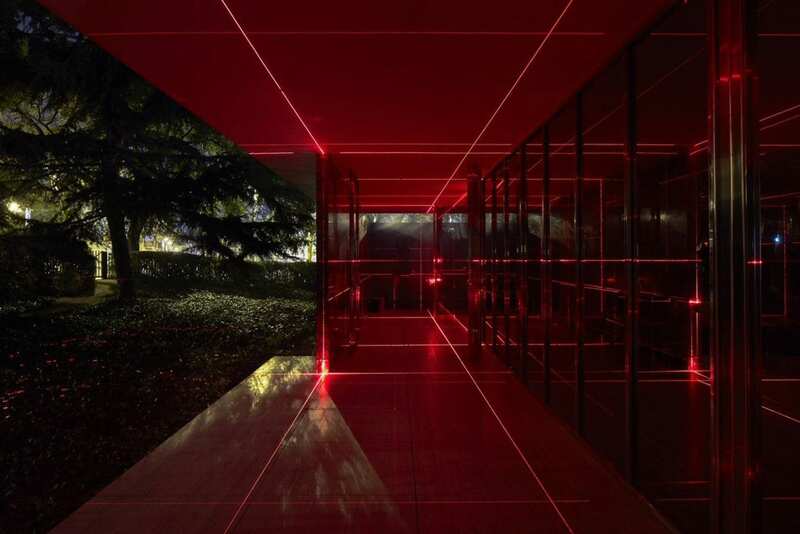 Luftwerk collaborated with designer Iker Gil to transform Mies van der Rohe‘s lauded Barcelona Pavilion, beaming red lasers across the structure for the Geometry of Light installation. 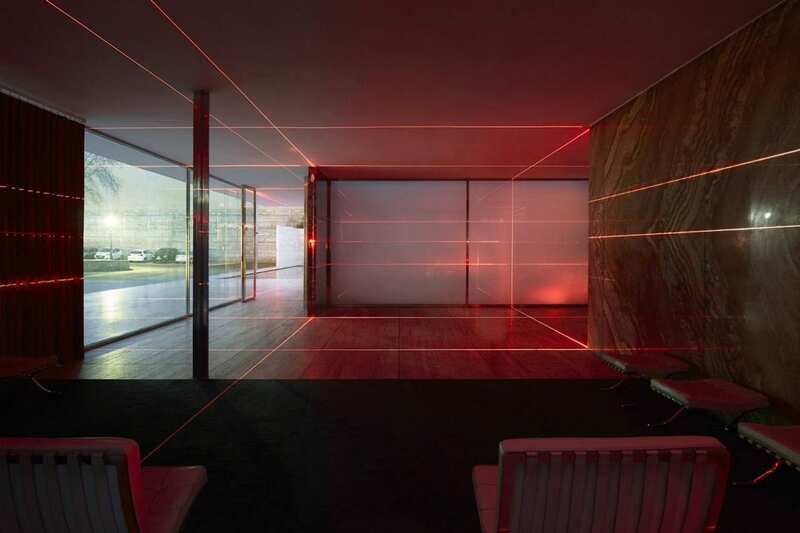 At first glance, you’d even be forgiven for thinking that the lasers are part of an elaborate security system through which a perpetrator would have to maneuver, reminiscent of slightly kitsch spy movies. 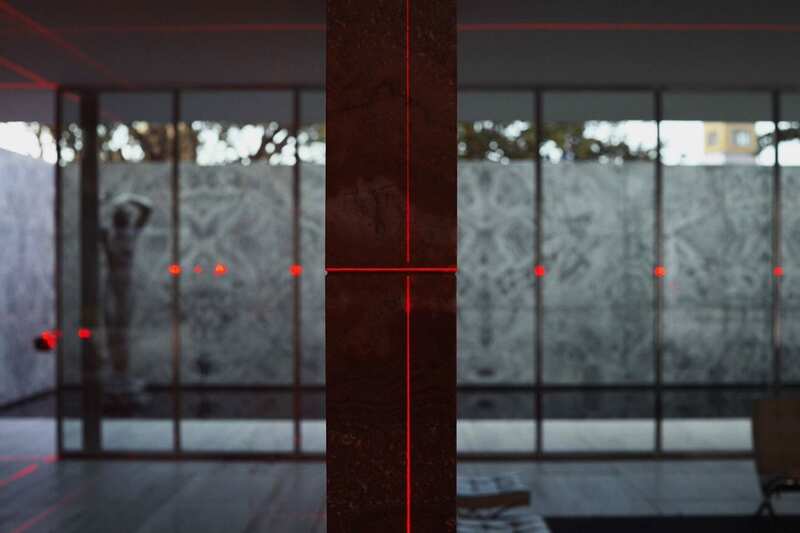 The iconic modernist building lends itself to reflection and refraction, with its offset walls, planes of marble, onyx, and chromed steel, and full height tinted glass windows. The walls and floors extend out beyond the interior and fine steel columns support the concrete roof, creating an illusion that defies differentiation between indoor and outdoor space. 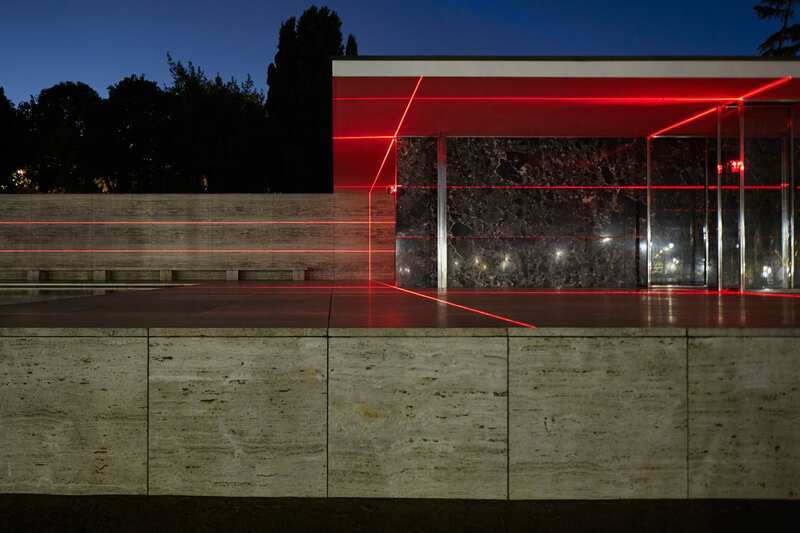 Beyond its construction in 1929, Luftwerk and Gil aim to create a contemporary lens through which to interpret the Barcelona Pavilion, expanding upon the original architectural features and materials. See more Light Installations on Yellowtrace. 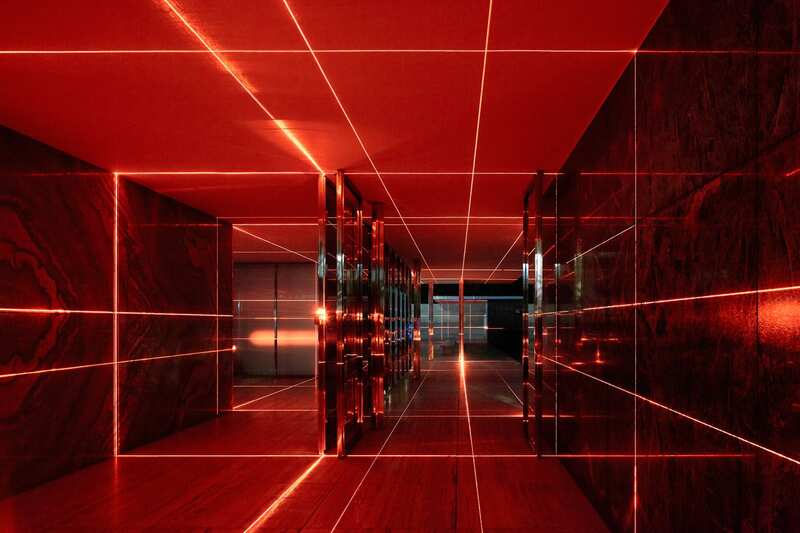 The lasers project across the building in a grid-like arrangement, designed to trace the geometric architecture and highlight the intersection of horizontal and vertical planes. 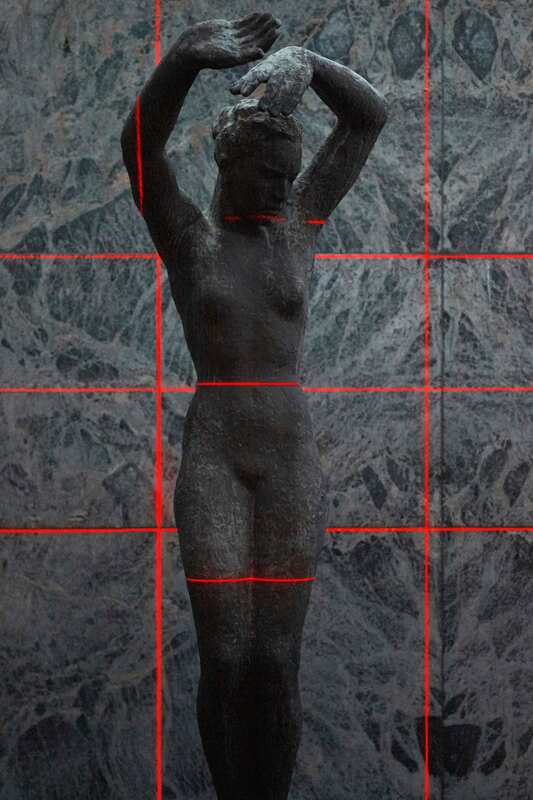 Taken literally, the ‘Geometry of Light’ uses lasers to illuminate van der Rohe’s refined, rectilinear plan. 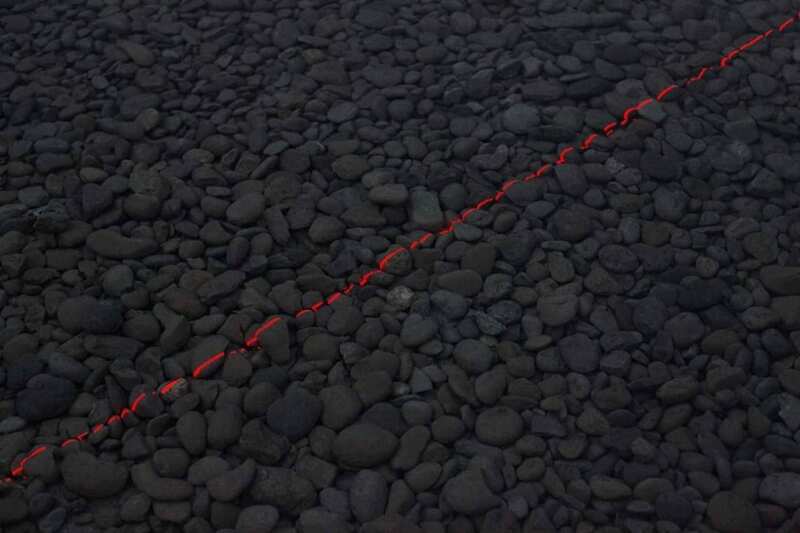 When viewed from a distance, the details blur to form an immersive perspective, with each surface newly informed by a red glow. 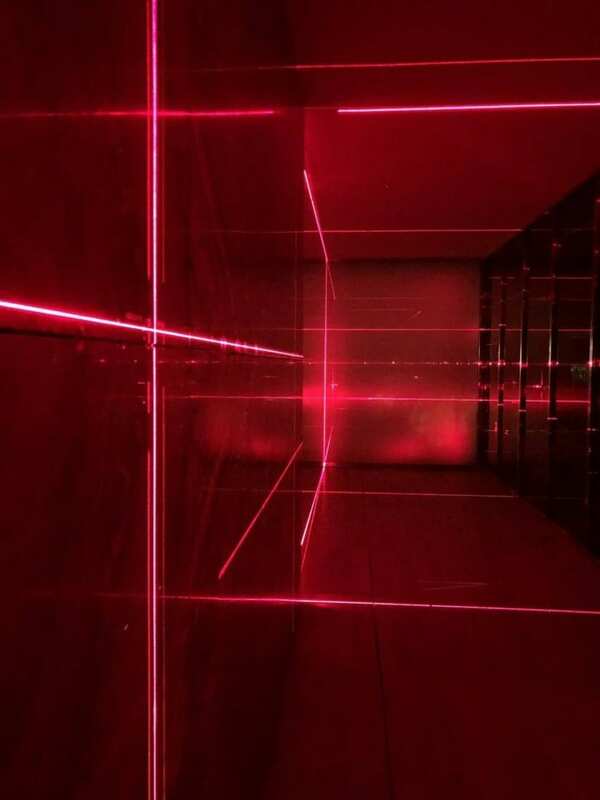 An ethereal soundtrack composed by sound designer Oriol Tarragó further animates the striking red lasers. The configuration of the projections was choreographed to change in time with the track, scanning over different parts of the pavilion. 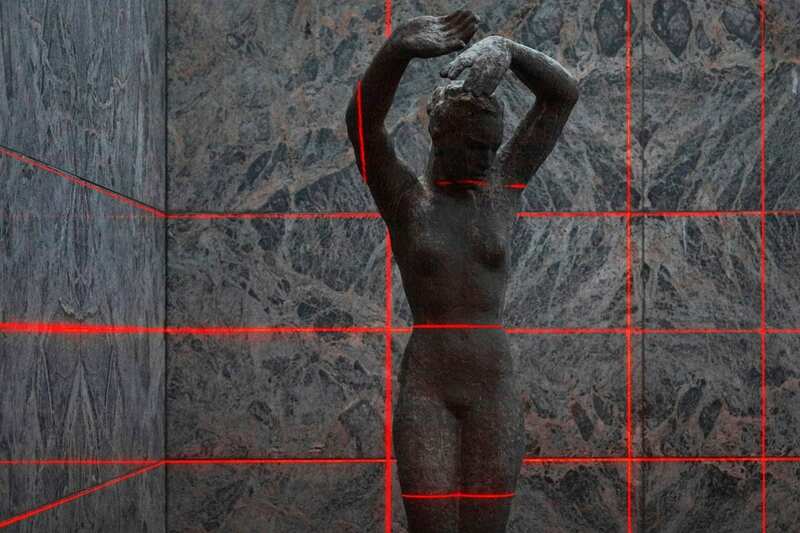 Further accentuating the interchangeable flow between indoor and outdoor space, the lasers extend to reach two adjoining water features and Georg Kolbe‘s sculpture ‘Alba’. 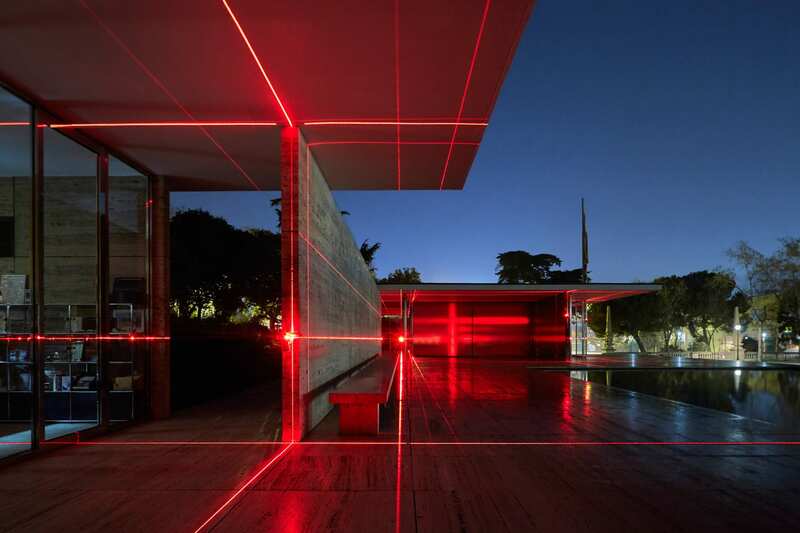 Though it closed at the Barcelona Pavilion on February 17, Geometry of Light will be presented at Farnsworth House, another of van der Rohe’s famed buildings, in October as part of the 2019 Chicago Architecture Biennial.